With week two of The Flash‘s second season returning to the familiar feel and formula of The CW’s immediate hit, week three decides to push nearly all of the new world-building and ‘multiverse’ mythology to the side. Instead, past characters make a return – and the existing cast is allowed to shine – to make sure that the building momentum of the show’s plot is pulling every side of its universe along with it. In “Family of Rogues”, written by Julian Meiojas and Katherine Walczak, the S.T.A.R. Labs team is paid a surprise visit by Lisa Snart, concerned that her brother Lenny has gotten in over his head. In reality, he’s been pressed into pulling off a robbery with his father to keep his sister’s head on her shoulders. Meanwhile, Joe tells Iris the truth about her mother, and Jay and Caitlin try to stabilize the Earth-2 breach in S.T.A.R. Labs’ basement. 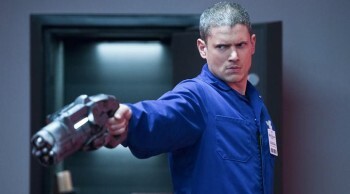 There’s a good chance that some fans were less than thrilled to learn that the building mystery surrounding Zoom and his mission to kill Barry Allen was going to be put on hold, with the spotlight retaken by Captain Cold (Wentworth Miller) and his sister, Golden Glider (Peyton List). Two villains that were, if we’re being kind, a bit more “heightened” (or more at home in Arrow) than Flash fans have come to appreciate. It’s an added bonus, then, that both of their stories were pleasantly restrained and unexpected. It’s hard to know if the decision is motivated purely by director John Showalter or viewer feedback from season one, but Miller in particular got the message loud and clear: he was cast as the head Rogue for a reason. 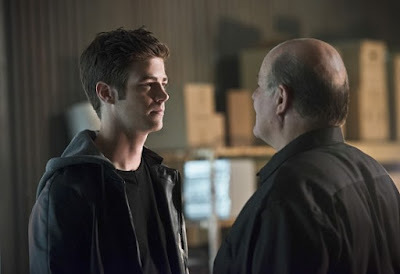 Letting his stare do the talking, and letting the sharp dialogue between Barry and Snart shine, both viewers and comic fans will no doubt be thrilled at the improvement. Sure, it may be due to the fact that Legends of Tomorrow will require Leonard Snart to fight for the good guys, but developing him as a rival to The Flash and not an enemy is an uncommon twist in the superhero genre. And seeing the two join forces to foil Lewis Snart’s (Michael Ironside) plan wasn’t just entertaining – it made large scale superheroics unnecessary. Cracking a keypad and catching a bullet being every bit as gripping as the show’s CG-fueled spectacle could be a criticism, but… fans won’t complain. Fans left unsatisfied with the purpose served by Iris West (Candice Patton) in the latter half of The Flash season one have been waiting patiently to see what changes were coming, being referred to as “a born leader,” and expected to play a special role in the story going forward. 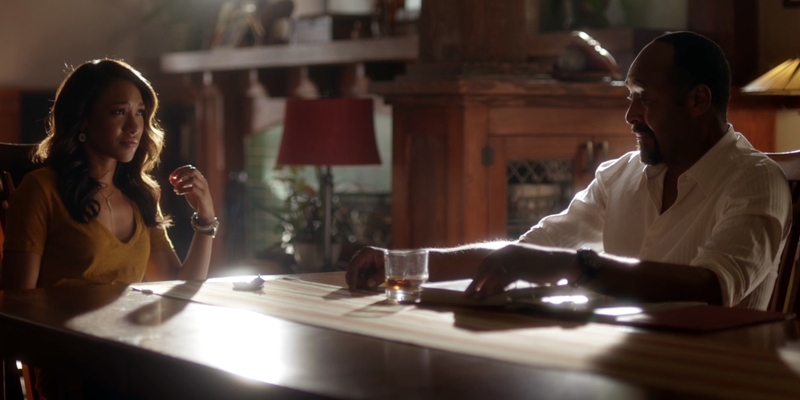 With no sign of where Iris is headed so far, “Family of Rogues” also found room for a heartfelt scene between Iris and her father, Joe (Jesse L. Martin). It’s hard not to watch this subplot develop – estranged parent, secrets revealed, trust potentially broken – without noting similarities to the usual family melodrama Arrow has relied on time and again. Luckily, the Wests come out completely on top. Not only is the scene built on simply letting Martin deliver a tearful monologue – a wise choice – but the sigh of relief from every fan when Iris actually understood her father’s reasoning is a stark reminder of the differences between The CW’s two superhero shows in their early seasons. It’s hard to tell if that can be maintained as the plot thickens further, but the time spent on the scene proves the showrunners still want their audience reminded of what makes The Flash different. Parallel worlds and armed villains are important… but so are the families and bonds between the characters.